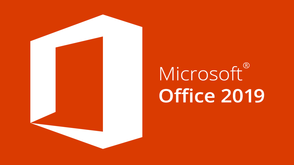 Microsoft Office for Mac 2019 software provides familiar Office applications that are fully customized for Mac. Office 2019 includes new drawing tools, data types, translation and editing tools, motion graphics, ease of use, and more. Word: focus mode, translator, custom Office ribbons. Excel: funnel charts, 2D maps and temporary charts, new Excel features (CONCAT, TEXTJOIN, IFS, SWITCH). PowerPoint: Morph transition function, the ability to insert and manage icons, SVG and 3D models, improved roaming pencil, 4K video export. Office comes with a product key. If this is your case, before the initial installation of Office, log in with your existing or new Microsoft account and enter the product key on the page <office> page.com/setup </ attention>. Key activation links your account with Office. This procedure is required only once. Ключ к MS учётке привязался, Офис работает.